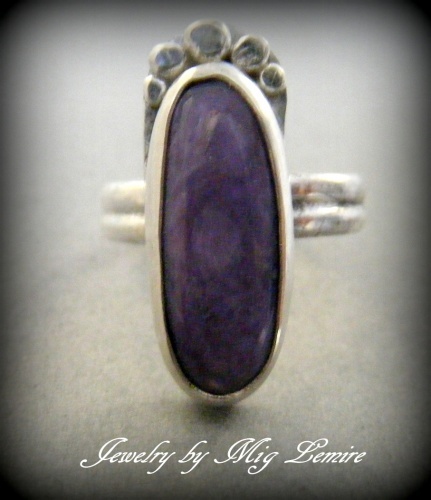 This sweet Russian Chariote gemstone ring is embelished by sterling silver hammered balls. The band is a double wire band and sturdy yet not heavy to wear. Size is 6 1/2.